Product Consists: Attractive Kundan Rakhi decorated with Pearl Beads nicely tied on a designer Card. Rakhi is Hindu religious and secular festivals which celebrate and enjoyed by siblings. Raksha bandhan means bond of protection. This festival celebrates the love and duty between brothers and sisters. By sending this rakhi for your brother will definitely feel the affection of adorable sister. 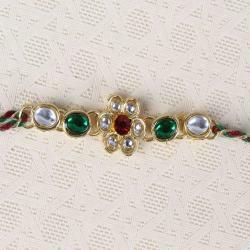 This Rakhi is sure to bring smile on your brother face on this year. 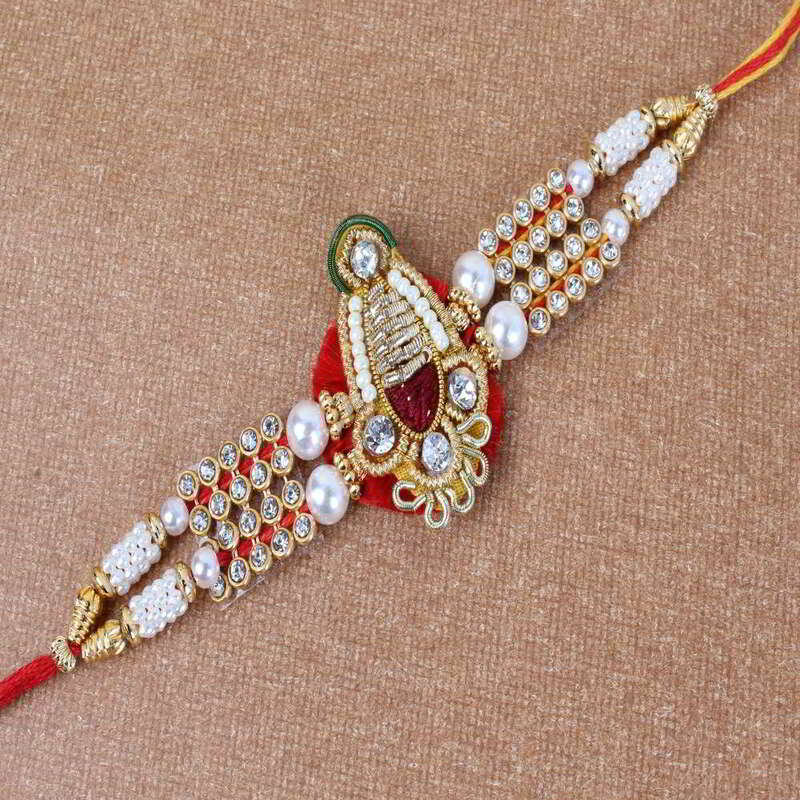 We have brought a stylish rakhi with good quality material. So Hurry up order now and make your brother happy by sending this beautiful thread. 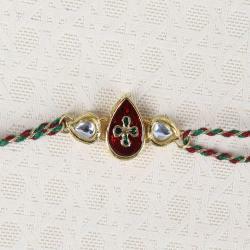 As every year on this special occasion Giftacrosssindia.com makes special arrangements for all customers to make sure that Rakhi will reach to all destinations on time. Product Includes: Attractive Kundan Rakhi decorated with Pearl Beads nicely tied on a designer Card.